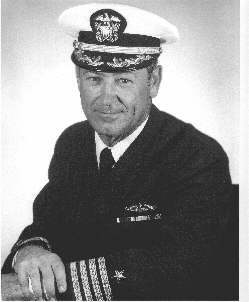 Sadly, our father Robert A. Arrington, Capt USN Retired, left the us for his place in heaven on January 22, 2004. Funeral Services will be held in Dallas, Texas on 1/26/04 with the assistance of the Sparkman Dickey Funeral home (972) 407 - 6070. His final resting place will be in California. My father loved being a submariner. He has deep ties to the USS Blackfin. He served in the Pacific Reserve Fleet for 36 years after his discharge from active duty. He was loved by his 10 children and many grandchildren. "My father was the Commander of SubPacNav during the 1980's. Through the grace of God we were able to have my father buried at Point Loma (Fort Roscrans National Cemetary)."